September 4, 1918 – FOOOOM! 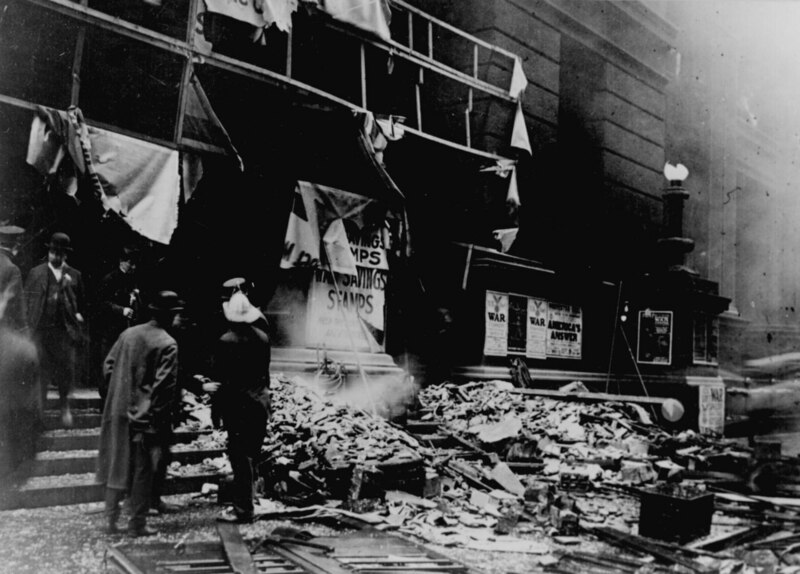 This is the wreckage of Chicago’s Federal Building after the explosion of a bomb on September 4, 1918. It was allegedly planted by the International Workers of the World (lWW) as a reprisal for the sentencing of the union’s leader, “Big Bill” Haywood, convicted of violating the Espionage Act of 1917 during the First Red Scare that year. It’s strange to think that Walt could have been killed in the blast! This entry was posted in Gothic Disney and tagged Bill Haywood, Chicago, Industrial Workers of the World, Walt Disney. Bookmark the permalink.